Investigate the mystery behind a series of murders. Zero Escape series director Kotaro Uchikoshi’s March 2017-announced Project: Psync is officially titled AI: The Somnium Files and will be released for PlayStation 4, Switch, and PC via Steam. 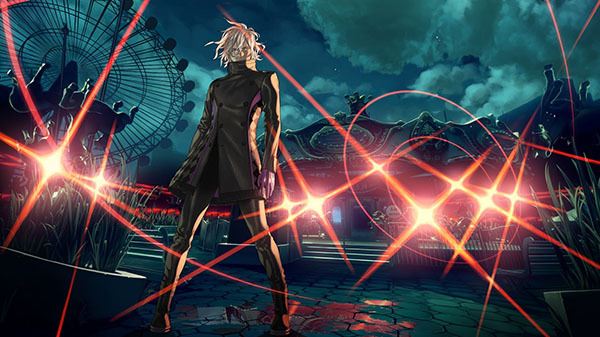 At the Spike Chunsoft Anime Expo panel, Zero Escape series director / scenario writer Kotaro Uchikoshi unveiled AI: The Somnium Files, set for a worldwide release on the PlayStation 4, Nintendo Switch, and Steam! The game will take place in a more technologically-advanced Tokyo, Japan. The first teaser trailer introduced detective Kaname Date. Yusuke Kozaki (Fire Emblem Awakening, No More Heroes) is the lead character designer for the title. A director and scenario writer, his skills shine in his adventure titles, such as the Zero Escape series (including the award-winning Nine Hours, Nine Persons, Nine Doors), Punch Line, and Ever17: The Out of Infinity. He is well-known for his unconventional plot twists and offbeat humor and has been actively working on many genres, many games, and many stories. Since this is a detective game, there will be a wide cast of characters involved in the mystery. Iris, an 18 year-old high school student, is one of those characters. In the story, she is essentially a YouTuber who makes viral videos where she records herself dancing and singing, as well as Let’s Plays. Watch the announcement trailer and a message from one of the game’s character’s below. View a piece of artwork at the gallery. Visit the official website here. Watch a message from Iris below (from 52:57 to 53:15).